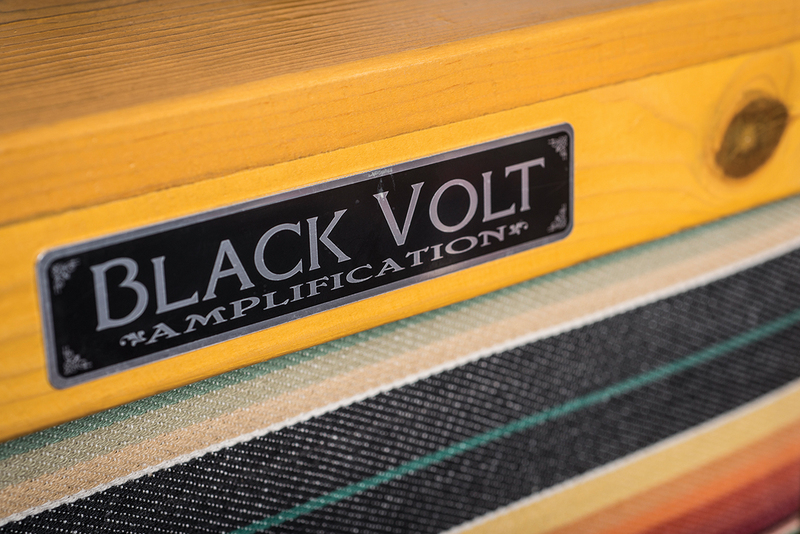 Black Volt advises that both preamp valves can be swapped for the usual pin compatible alternatives and the power section can run 6L6s, with no need to re-bias if increased clean headroom is desired. 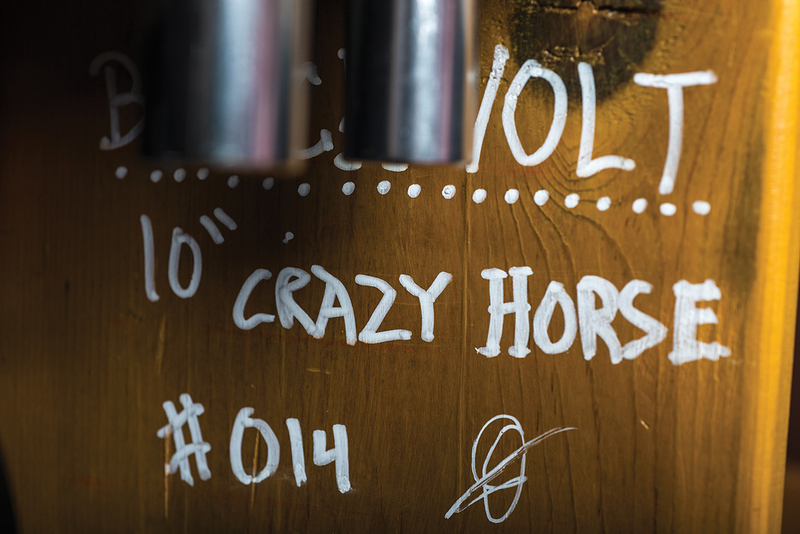 For the purposes of this review we’re also trying out the Crazy Horse in conjunction with the company’s Maple Fuzz stompbox. 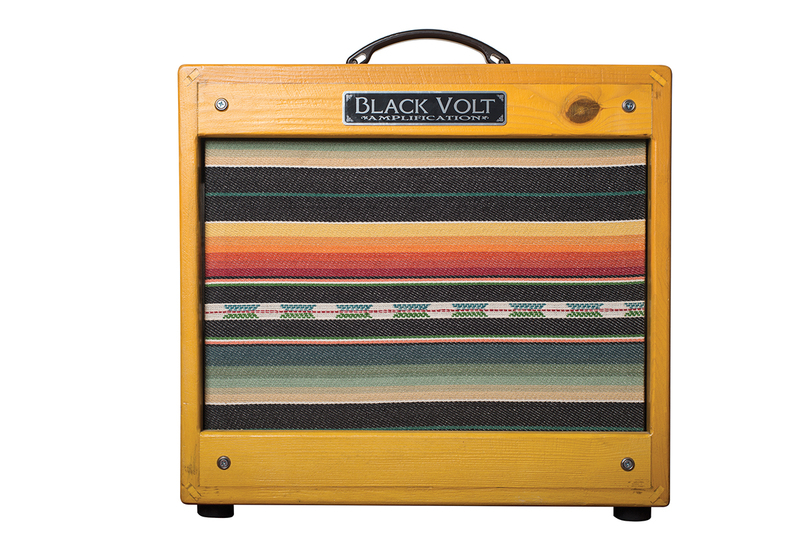 Guitars that normally clean up without significant treble loss do sound darker than usual with the volume notched back – we conclude that the front end needs a certain level of input signal to work with, and while Fender- and Gibson-style pickups can oblige, lower output pickups such as Filter’Trons are less of a good match for the amplifier. 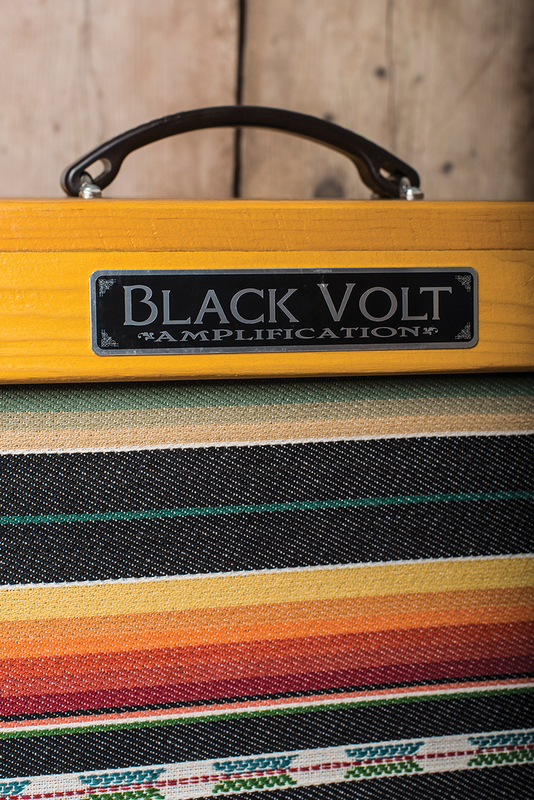 This could be where the Maple Fuzz comes in – but more of that later. 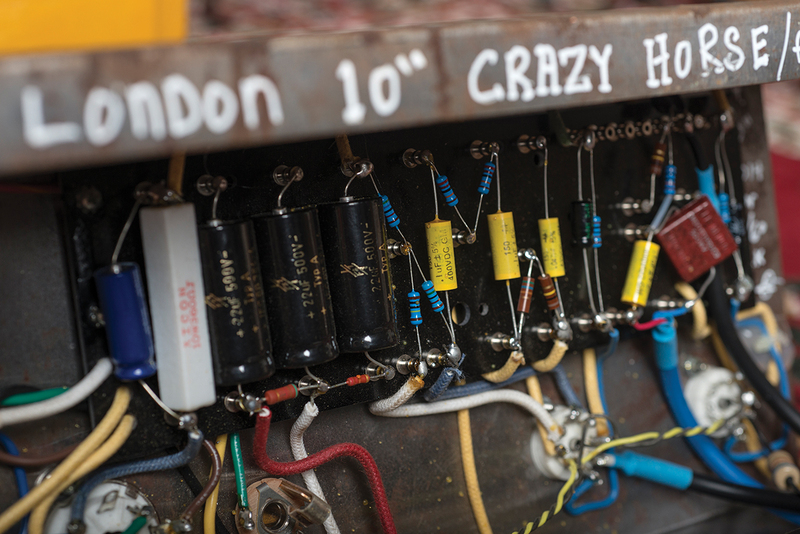 Without the pedal, the Crazy Horse has an outstanding overdrive characteristic that sounds like it’s centred in the upper midrange and layered over cleaner frequency bands either side. 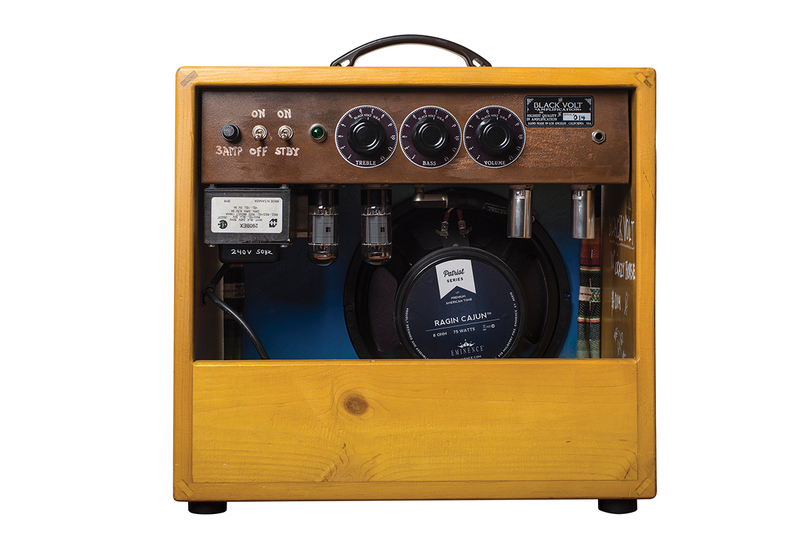 It manages to be both gritty and smooth with the discernible horn-like bark we hear in vintage Gibson circuits. 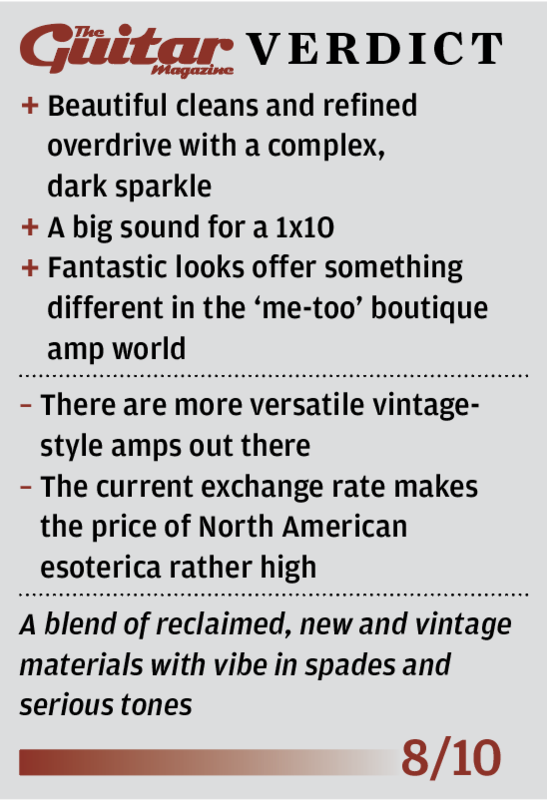 This 1×10 configuration of the Crazy Horse isn’t an especially versatile amp – the volume and tone controls don’t offer much interaction and the bass and treble controls are more refined than radical in operation – but instead you get a top-notch core tone that can be subtly sculpted and a gain range that goes from the prettiest cleans to rich overdrive. It stops well short of cranked 5E3 ferocity, but that’s what the Maple Fuzz is for. Engage the footswitch on the pedal’s attractive maple enclosure and excoriating overdrive, bass sag, splatty breakup, an ultra-wide gain range and effortless sustain suddenly appear. 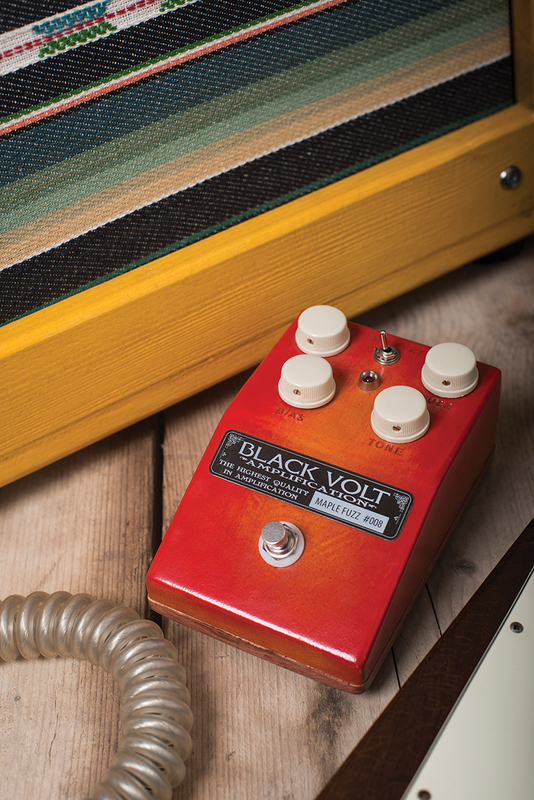 Crank the fuzz and the volume, then you can clean up Fuzz Face-style while retaining clarity. The bias control is very sensitive and eases the decay from smooth and syrupy to dying battery-style splatter, while the Fat/Thin switch tightens the lows. 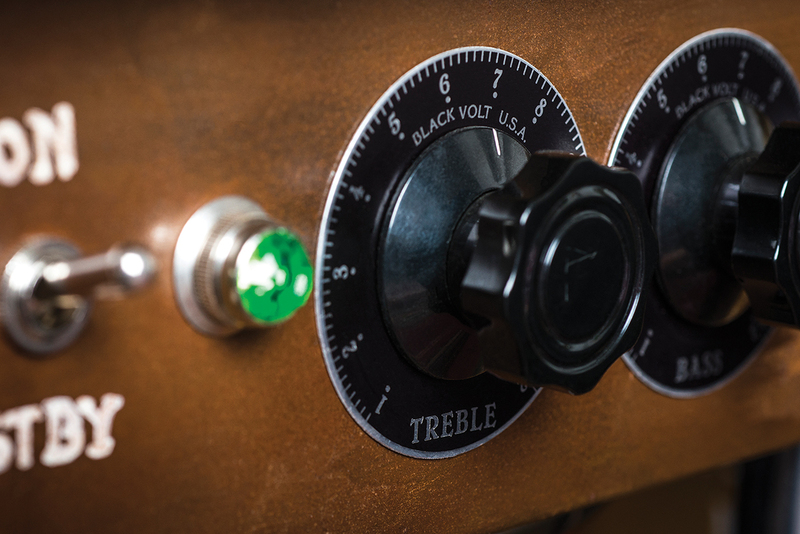 The tone control is something of an oddity, because it acts as a second volume control.